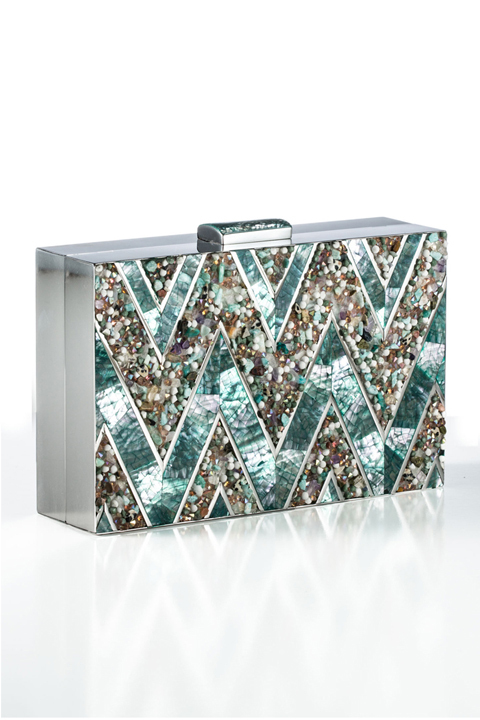 VENNA was created in all its sparkly glory in 2005 by Patrick Wong, a graduate of Central Saint Martins in London. With its elegant and diverse design style, Venna immediately gained a lot of attention from the media and the major international department store group within a short period of time. Venna is now sold around the world in some of the most luxurious stores, including Le Bon Marche, Harvey Nichols and Lane Crawford. 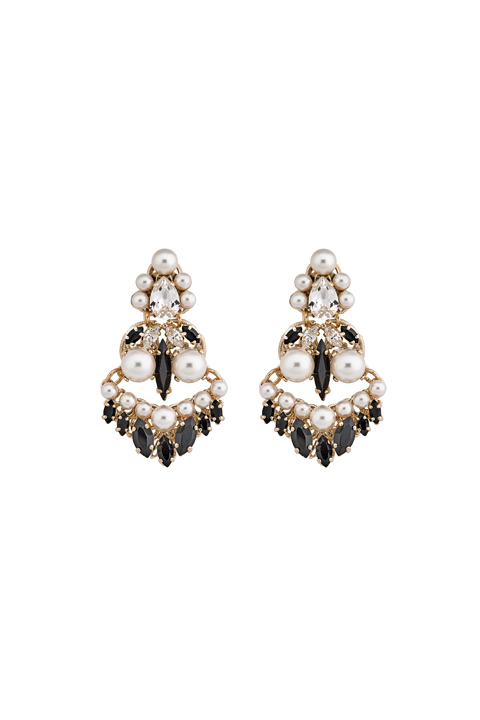 Jewellery is something personal, something intimate and should be made with love"— Anton Heunis. "It all started with my grandmother's dressing table. It was always covered with beautiful jewellery and enameled hair brushes... and so from a very young age, I was hooked..." With a BA degree in Fine Arts (Stellenbosch, South Africa) and later a Masters Degree in gold-smithing (Munich, Germany), Anton Heunis started his own fashion jewellery label in Madrid (Spain) in 2004. What began as a dream to make beautiful pieces of jewellery from his apartment in Madrid, has grown, magnificently, into an international fashion jewellery label. Anton draws his inspiration from everyday life, transforming these impressions into a "Modern Vintage"-look that has become his signature style. A hands-on approach and a meticulous eye allow Anton to design exceptional pieces and oversee the production within the studio. His design instantly became magazines and celebrities’ favorite. Aurélie returns to her first love and begins to study stones. She achieved a faultless course: Gemology school in Anvers and specialisation in technical drawings to BJO in Paris. Then the young Aurélie roams the world in search of inspiration. Curious and nomad to the core, she discovers from country to country different cultures and different know-how. Her visit to India is a real “coup de foudre” Aurélie falls in love with the country and decides to put down her bags here longer than expected. Fascinated by the beauty on every corner of the streets, her taste became refined and clearer. The young woman imagines a concept of lucky charms, where stones mix with talismans from around the world. We are in 2003, the story of Aurélie Bidermann can begin. Not only is Ben-Amun popular for features in magazines, such as Vogue, Elle, NY Times, Marie Claire, but has also been a favorite on the runway. Isaac has worked with numerous designers to accessorize fashion shows each season ,such as Calvin Klein, Donna Karan, and Ralph Lauren, just to name a few. Radà is an Italian brand of accessories and jewellery for women and becomes soon a brand icon thanks to its "Made in Italy" creations. Radà combines tradition and innovation through a style which is full of light, and draws its expressive strength from nature. The inspiration is from Art Deco, 50’s fashion and African tribe. 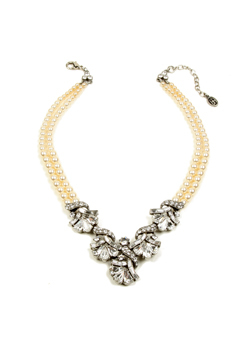 Designer likes to mix pearls, crystals, and different materials to create a luxurious look. Radà jewellery are colorful, ideal for a woman who wants to match elegance and good taste. Inspired by British avant-garde and entirely realised by Italian artisans, MFP Jewellery is a conceptual fashion jewellery brand that combines sharp, sleek and geometric designs mixed with symbolism and sub-culture references.Classic elements from the goldsmith tradition are reinterpreted within a pop and post-modern aesthetics.MFP jewels are trendsetting, enjoyable and suggestive. The art decoreferenced classic simplicity of the designs ensures that they retain versatility. 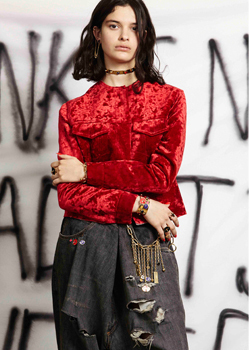 The brand has been initially awarded support by Lulu Kennedy’s FASHION EAST and BFC’s NEW GEN.
Previews accolades include a British Fashion Award nomination and Italian VOGUE TALENTS Award. MFP has been constantly supported by influencers in the fashion business such as Sarah Mower, Nicola Formichetti, Franca Sozzani, as well as featured on the most prestigious editorials. MFP target consumer covers a wide spectrum: from the younger generation of celebrities followers and fashion’s keen tribes, to the eldest and more understated customers who can afford the high fashion, appreciate the avat-garde and desire to update their style with an innovative twist. MFP product is highly fashion driven and is the perfect complement to the most innovative, edgy and fashion conscious collections of the international P-A-P. The brand is currently positioned within high end and contemporary fashion costume jewellery in the most prestigious international multi brand boutiques and department stores specialised in fashion products. The MFP vision is to mix the high quality of beautifully handcrafted and timeless jewels with design versatility, competitive price points and fashion awareness. According to Vogue, Refinery29 and The Editorialist MFP is the brand of choice of some of the most followed celebrities worldwide and recognised as a ‘Must have’ and ‘Cool to wear’. Florence-based new designer luxury jewellery brand SCHIELD is fronted by its Creative Directors, Roberto Ferlito (Designer) and Diego Diaz Marin (Fashion Photographer) Together, they have created an exciting new lifestyle brand in SCHIELD. SCHIELD is more than just a jewellery brand, it is a design, fashion and photography project from the minds of the next generation of creative young minds. The identity of the brand finds its roots from master craftsmanship, cutting edge design and use of highest quality materials from the best that Italian quality can produce. 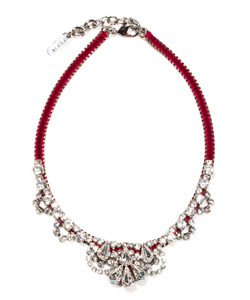 The jewels are designed, sculpted and finished as if they were high jewellery products. Each piece is hand finished by Italian artisans who use precious materials to create SCHIELD’s unique style. MW Marek Paris was created in March 2008. Marek was an apprentice at Lemarie and afterward he worked for Erik Halley as a jewellery and accessorise stylist. He had also created unique jewellery pieces for fashion shows for Christian Lacroix, Thierry Mugler, Ungaro and Julian Mcdonald. 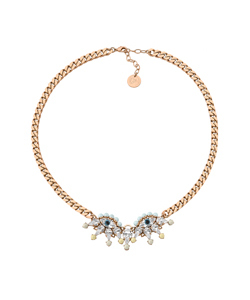 After 3 years of working for Stella Cadente as a jewellery and accessorise creator, Marek began his co-operation with Daniel Swarovski. Nature is his main source of inspiration. 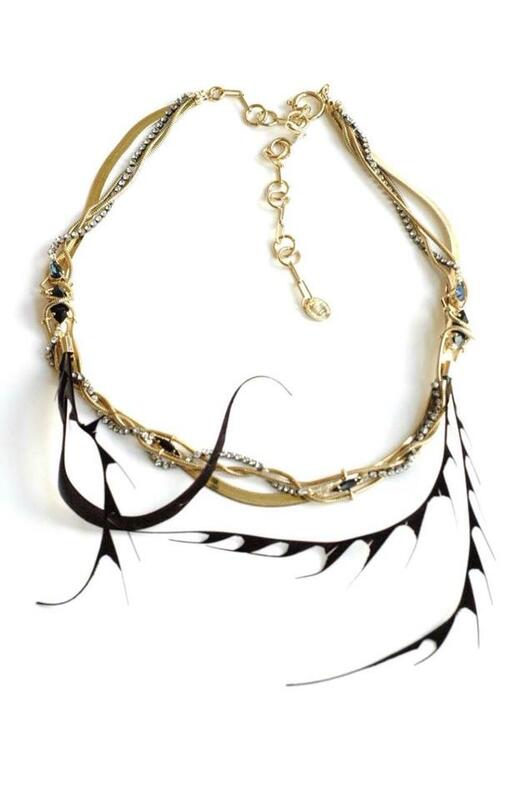 When creating his jewellery Marek uses metals, chains, crystals and feathers, which he transfers in such a way that they have a paradoxical and unique look. All his creations are hand made in his Parisian workshop. 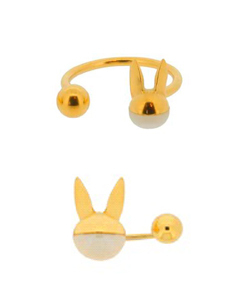 Since launching in 2005, Stockholm-based jewellery brand Cornelia Webb has established itself on the international luxury market, creating seductive garments and accessories with a true Scandinavian tone. As autodidact and former medical student, Cornelia quickly found the body to be her canvas of choice, sketching designs directly on her skin instead of on paper. Since designing her first chain dress in 2006 Cornelia has been driven by the thought of literally dressing the body in jewellery. With her sculptural avant-garde garments and accessories Cornelia gained widespread popularity early on amongst stylists and international publications and as well as attention from stores such as L’Ecleireur, Lane Crawford and Joyce.In 2012, Cornelia Webb received the prestigious Best Accessory Designer award from ELLE Sweden. In response to our growing urban existence, Cornelia Webb emphasizes craftsmanship, timelessness and environmental consciousness in her work. Cornelia chooses to reinvent design rather than constantly produce new items. A product’s life cycle replaces its life span. Recycled metal and found nature findings are reused, so they can continue ir cycle as re-imagined objects which bear the energy of both the present and the past. Tapping into the conservation trend, as Cornelia Webb’s jewellery is carving out a new definition of luxury, refined craft. Benedicte Mouret graduated in 2002 from Central Saint Martin’s School of Art and Design,in London,with a BA in Jewellery Design. 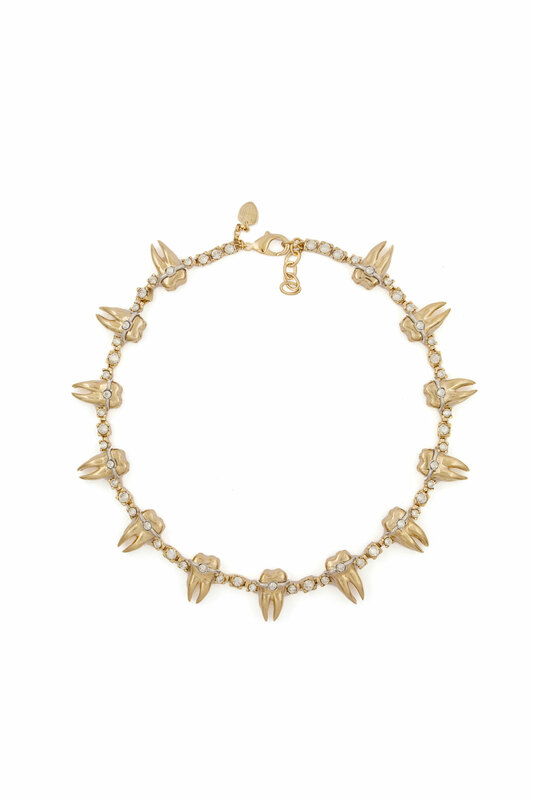 After graduating,she went back to her native Paris and began designing jewellery under her own brand named,BENEDICTE. All of Benedicte's jewellery are produced by hands in Paris.Her designs are heavily influenced by fashion and feminity and tend to be sculptural or textile in nature. She plays with codes and symbols with humour and poetry. It is an alternative and unusual vision of luxury. 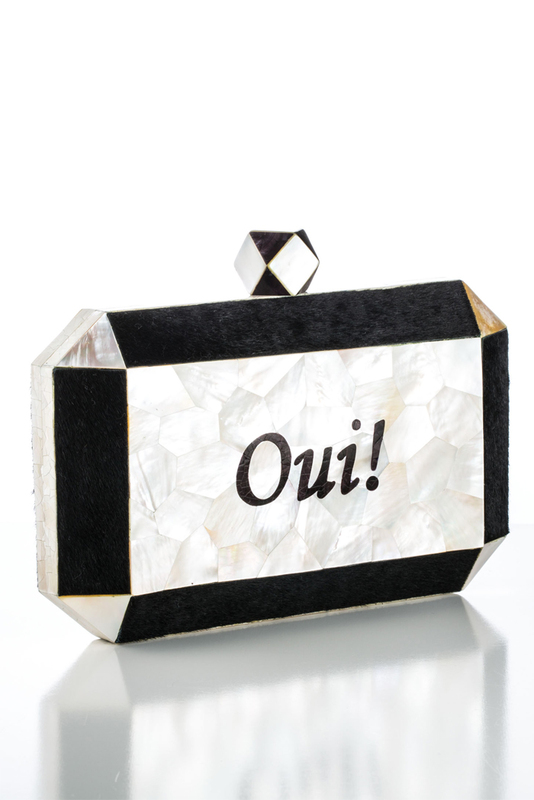 Created in 2014, the luxury accessories house Catherine Osti is founded on two core principles. The first is a belief in the collaborative excellence of bringing together the savoir-faire of different Métiers d'Art to create something superior to the sum of their parts. The second, is to offer all women the opportunity to experience first hand the pleasure of wearing pieces created by the finest craftsmen working in the luxury arena today. With her haute couture line that Catherine Osti truly gives the talented petite mains free reign. Working with the best plumassiers, pleat makers and embroiderers in the business and partnering with renowned Métiers d'Art maisons such as Lesage, Cécile Henri, Lemarié and Lognon, Catherine Osti puts the work of the most distinguished and talented craftsmen in Europe hands of her clients. 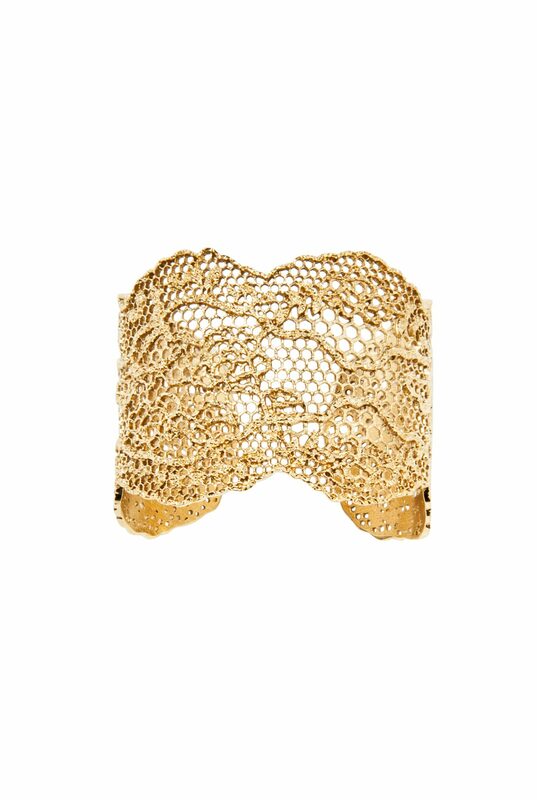 Catherine Osti’s cuffs allow women to entire the world of refined luxury in a modern and practical way. The cuffs offer everyone the chance to taste the dream of couture dressing and enjoy the effortlessness of sartorial elegance. 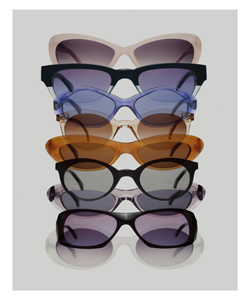 Established in 1937, the brand Agnelle has been passing the skills through generations. The workshop of is located in Saint-Junien, French town famous for its gloves production. Ot much has changed since those days, as hundreds of manual operations have to be done to create these unique and authentic gloves! It is some kind of magic! Trough the history of 75 years, four generations at the Agnelle House were creating a history of gloves for women. Moreover, Sophie Gregoire received the Veuve Clicqout award for business women. The glove was always the true symbol of the luxury and uniqueness. Agnelle is one of the most famous brands creating authentic and unique gloves in France and the whole world through the selective distribution network. Meanwhile, the brand has also worked with the major fashion houses to design special models for them. The house was also recognized as Enterprise of Patrimoine in 2006, as a distinguished French brand with excellent craft and manufacturing skills. The modern wardrobe isn’t complete without a much-loved day to evening knit. This knit is a piece that will always make you fell good. It should be practical but also seductive and effortlessly chic. What it shouldn’t be is basic. A basic knit offers none of those qualities we all now seek. For me, my friends and I’m sure, for every modern woman, the search is for uniquely different designs that are beautiful yet cool and surprising, designs that define our style in a simple whisper and designs that are the result of skilled craftsmanship. We expect more from our brands. We long for pieces that say so much more than transient trend lust- I certainly do. Sustainability. Ethical Awareness. Environmental Responsibility. These are terms that genuinely mean something positive and since launching Ahilya, have come to signify real relationships and friendships built over time with a community of expert craftsmen. The idea was formed during a visit to Kashmir. I was inspired by the ancient weaving traditions of the communities of the Changthangi highlands and suddenly, all the pieces fell into place. My vision was to create a scarf collection that shone a light on these communities, their skill, and the captivating beauty of their home- Kashmir is after all the birthplace of cashmere. I set out to work with their artisans and techniques and to fuse them with designs that were relevant to way we want dress today. For me that meant referencing the London design aesthetic- this city I now live in is vibrant and quirky interesting . This was fused with the casual femininity of Parisian style-my hometown. The collection launched in 2008 , and I am proud to be able to say that we continue to source and combine only the finest materials from craftsmen who are recognized for their excellence and expertise. Ahilya’s heritage is inextricably linked to Kashmir and it’s exceptional yarn. As a result, we have been awarded Positive Luxury’s Butterfly Mark- a symbol of trust by the unique award-winning global membership program which highlights our commitment to global sustainability through our economic, social and environmental practices. Shopping at its guilt-free best. Misa Harada trained at The Royal College of Art in the mid 1990's and then began her informal apprenticeship under the watchful eye of Royal appointed milliner Frederick Fox. In 1998 Misa Harada launched her own label at Paris Fashion Week and her quirky yet elegant designs quickly became well known within fashion and millinery circles. 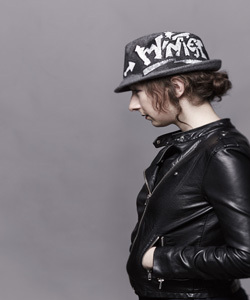 Misa's unique style achieved by using traditional millinery skills has been championed by collaborators who have included Katharine Hamnett, Thierry Mugler and Yohji Yamamoto. 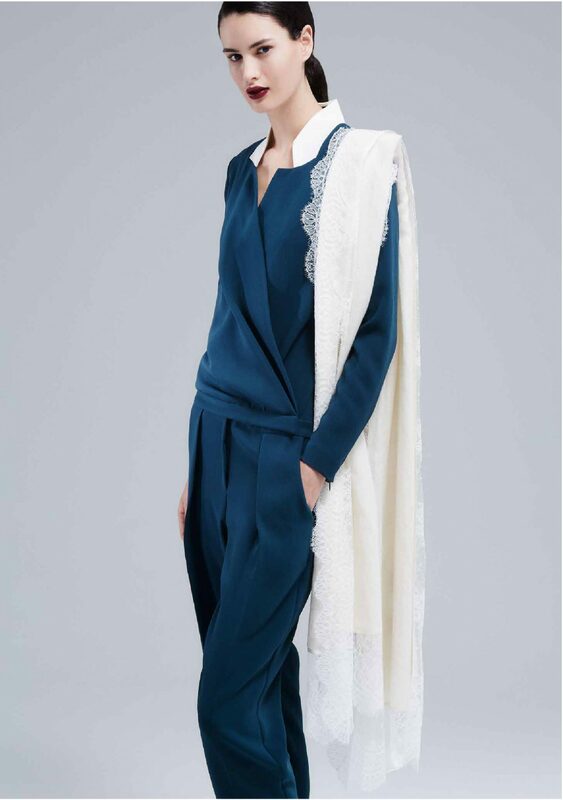 More recently Misa has joined forces and created one off pieces with designers such as Bora Aksu and Reem. 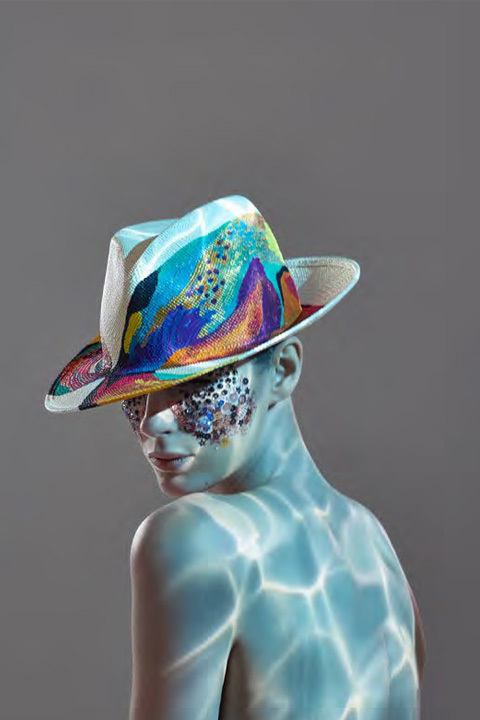 As well as regularly featuring in International fashion publications Misa has made hats and head pieces for celebrities including The Scissor Sisters, The Rolling Stones, Mickey Rourke and Jennifer Aniston. The passion for art and the family tradition in the philatelic field, awaken in Alessandra Zanaria, designer and founder of the company, the desire to represent a new way of interpreting what surrounds her. The designer, having completed her artistic studies, founded her first company in 2001, presenting her pret-à-porter women's fashion collections until being inserted into the official calendar of the National Chamber of Italian Fashion (2005), only then to fall in love and specialize in the creation of accessories. Her creations are visually stunning, always refined they re-interpret, in modern terms, the numerous inspirations deriving from the élitist world of art and philately, inexhaustible sources of creativity and culture. Alessandra Zanaria the woman likes to amaze without upsetting, she can rely on a prestigious past to live and succeed in the present: endowed with a healthy individualism, she loves to be noticed for the sophisticated details that make her style unmistakable and which enhance her remarkable femininity. House of Lafayette is a label of high-end hats and cocktails pieces, handmade in New York City with love. Every House of Lafayette piece is unique – each color combination, rich fabric and unexpected trim is carefully chosen to create one-of-a-kind classical yet modern pieces. 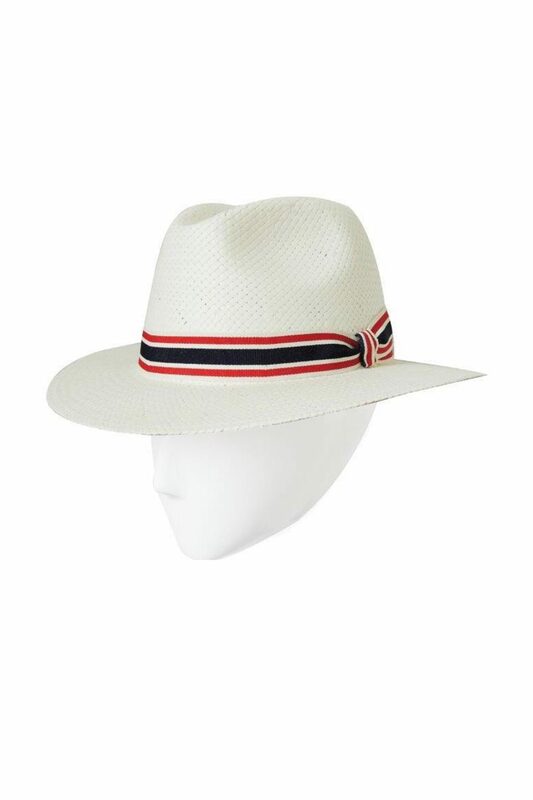 Ultimately, House of Lafayette has one mission: to put the hat back in the spotlight and to let it become what it used to be – the indispensable accessory to a daytime or night time outfit. HoL will be the hat you pass down from generation to generation by its timeless design and quality. Julia Petit, Céline Robert's maternal great-grandmother, had a hat shop "Modes-Deuils" (Fashion and Bereavement) in Vétheuil near Paris. At the time, as no man or woman ever went out without a hat, the millinery profession was considerable. Wearing a hat was a mark of social status. A generation later, Reine-Marguerite Robert, Céline's paternal grandmother, founded the Fernand Robert fashion house, named after her husband. By 1934, she was designing the hats that Fernand sold all over France. The models she designed were reproduced countrywide by milliners wanting to "keep up with Paris fashions". Their workshop in the Faubourg Saint-Honoré employed up to seventeen workers. When cheap Italian hats arrived on the market, it forced them to invent new materials, such as woven trimmings. The family workshop closed in 1958 but Reine-Marguerite carried on making hats for private clients until 1985. Her colours were then taken up by granddaughter Céline Robert. 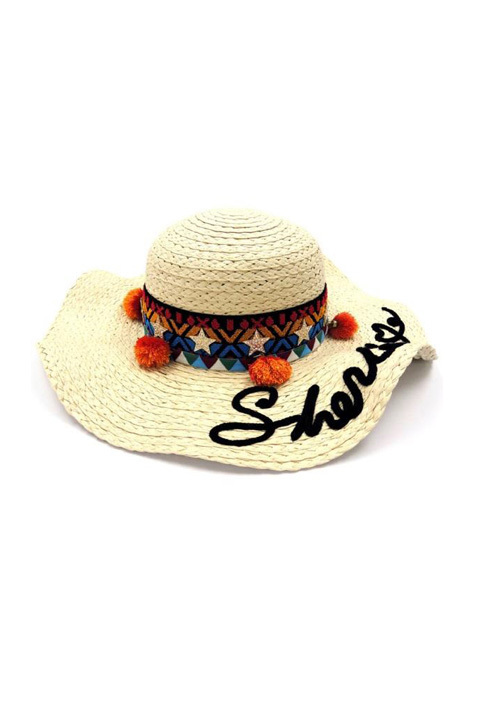 At first it was a game she played as a child watching her grandmother draping turbans, but soon creating hats became a pleasure, offering her a space for infinite creativity. After gaining her diploma in sculpture at the Beaux-Arts in Paris, Céline Robert opened her workshop in 1992 at the Moulins de Paillard near Le Mans. 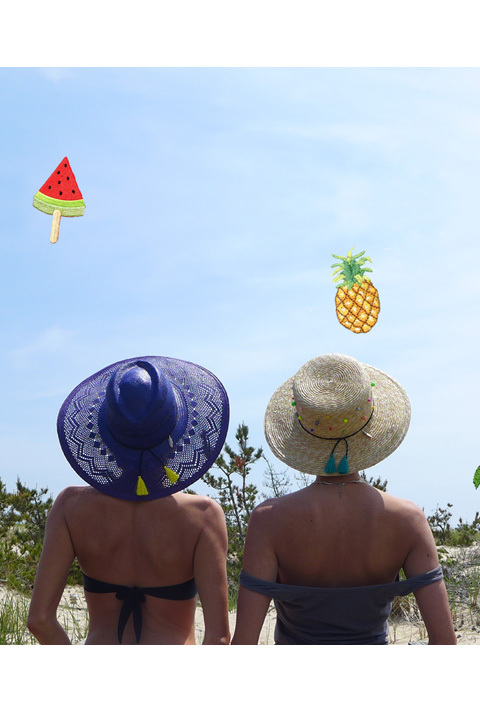 Céline Robert Chapeaux took off, quickly conquering French hat shops and buyers internationally. Her collections have been available in the Bon Marché since 1998, and in 2005 a first boutique was opened in Paris in the Marais district. 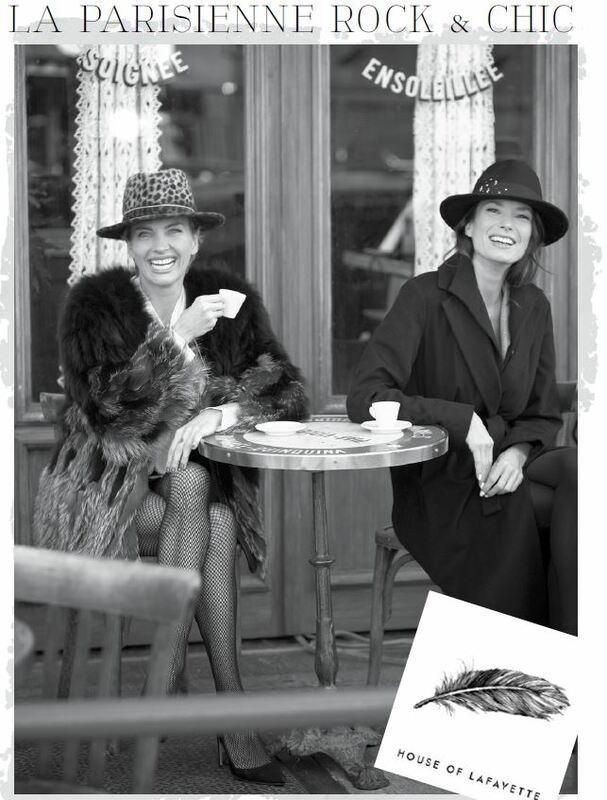 Over the years, Céline Robert's workshop has evolved considerably and is now a major actor in French millinery. Céline Robert made the conscious choice of having a fully staffed workshop, and six milliners work alongside her. With her continually renewed collections, particular attention to raw materials and finishing touches, high quality creations are guaranteed through the unique craftsmanship of heat-treated and modelled materials. From choosing the materials to the final depilling of the hat before it can be displayed in the shop, making each hat involves twenty or so different stages, all of which are done entirely by hand. In 2011 her workshop was awarded the label of Entreprise du Patrimoine Vivant (Living Heritage Company) for skills excellence. The company is now responsible for the safeguard and transmission of two craft skills: heat-treating and depilling. 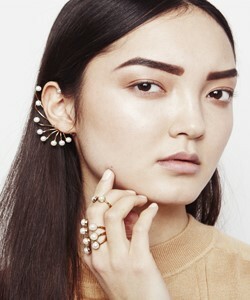 Founded in 2011 and based in New York, Emm Kuo is a designer accessories brand founded by Emmaline Kuo Ranzman. Appreciation for quality materials and a strong integrity to design and workmanship are the main principles behind the Emm Kuo accessories line. Architectural influences, strong textural contrasts and clean shapes render the collection modern yet classic. The Emm Kuo brand aims to create accessories that are a harmonious mix of style, sophistication and versatility. Each piece is treated like a work of art; intertwining only the most luxurious European leathers, exotic skins and customized hardware in a intricate, but understated way. Born in Taipei and raised between Hawaii, New York and Hong Kong, Emmaline Kuo Ranzman developed an early love of travel and appreciation of world cultures that has left an indelible mark on her design aesthetic. While receiving a BA from New York University in design marketing and art history, she immersed herself in the NYC fashion world as an intern. Upon graduating, she went on to work at one of the pioneers of the fashion dot-coms, as well as acted as a fashion consultant in Hong Kong and Shanghai. Realizing her true passion lay on the creative side, Emmaline enrolled at Parsons School of Design where she received a graduate degree in fashion design and went on to design at Catherine Malandrino and for legendary designer Stephen Burrows. Her love of exploration and experiences of other cultures has led her to all corners of the globe, including extended stays in France, Spain, and the Middle East as well having visited over thirty different countries. These travels have been a constant source of inspiration, shaping who she is as a designer. Every bag has a name, every woman will find her bag." Amishi in Sanskrit, an ancient language means "pure". The brand signifies just that. Pure beauty. Pure innocence. Pure design. Amishi, named after the designer herself, was founded with passion to create handbags and jewellery for the contemporary woman who had both style and substance. Her creations are sheer poetry and she is motivated to create the most desirable pieces of luxury by observing nature and the world around her. Her spirituality has enabled her to create purses which are balanced in design and bring about a sense of fulfillment and balance in the life of the woman who wears it. Her vision has always been to make jewellery and handbags that are irresistible and therefore will be handed down from mother to daughter to granddaughter. Her products do not date. They are fresh, unique and exciting. And timeless. Amishi travels widely and sources her raw material from all over the world. There is special attention to craftsmanship and the finish is unparalleled. 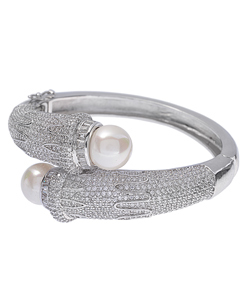 Amishi London jewels and clutch bags have been appreciated by celebrities the world over. 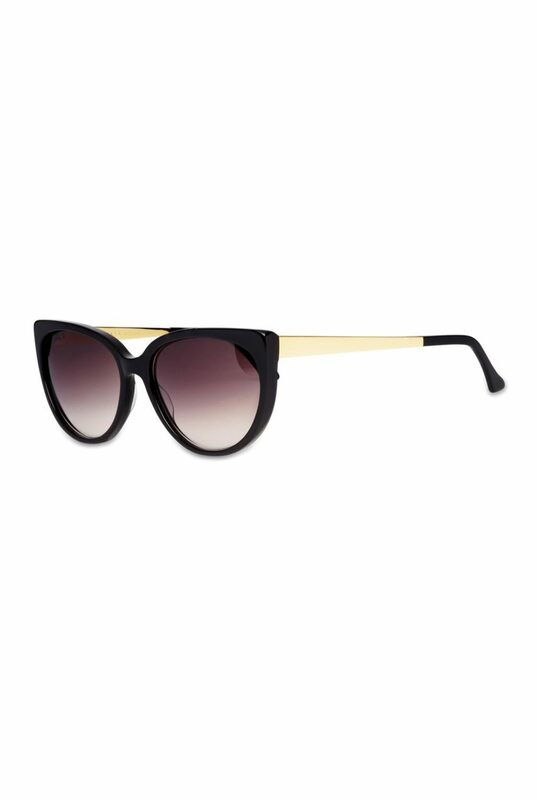 When you see Karl Lagerfeld attends any fashion shows or interviews, he always wears a pair of black sunglasses which is a beautiful creation by French designer, John Dalia. Few years spent in the heart of the most fashionable area in Paris and a strong passion for eyewear forged John’s desire to create its own brand. John’s wish to create his own brand mostly had to do with one strong conviction: that a pair of glasses should be much more than a mere fashion accessory. Elegant and highly technical models, but above all exclusive creations, designed like Haute Joaillerie pieces. 24 karat gold is used in various shades : yellow, pink, white and black. Every John Dalia model is entirely handcrafted in France by some of the most renowned eyewear manufacturers and Only few pieces of each model are manufactured each year. Not only Karl Lagerfeld is his fan, but also the previous Vogue France editor in chief, Carine Roitfeld is loyal follower. Tradition, contemporaneity, craftsmanship and innovation are skillfully combined to give life to a unique product which wants to “rewrite” a catalogue of rediscovered, lost glasses with memories of beautiful, often forgotten shapes.A veritable “conservatory” which reinterpretes, with a contemporary feel, models that are part of our collective memory and which pay homage to those who know how to make glasses into a model of elegance with their own “signature feature”.Conservatoire International de Lunettes is a leading research group specializing in shapes and styles for anyone who is passionate about glasses.Its aim is to build a repertoire of iconic shapes by looking into the archives of history and taking inspiration from this excellence.High quality styles and shapes from the 1930s to the 1980s which give life to "handcrafted" products of the past. A historical name retrieved by a group of artists, designers and glasses enthusiasts, organized into an international collective in order to conserve immortal shapes and give life to new collections. Conservatoire Design Studios has its headquarters in Milan, Italy, capital of design and fashion. It collaborates with designers and researchers in Paris, London, Stockholm and New York. Its work references iconic figures from the past and its models take inspiration from various sources: passionate research, photographs, vintage publicity and films. the eye of many stylists, top models, fashion editors and bloggers, and thanks to a guerrilla marketing strategy, our products are now sold in some of the world’s most cutting edge boutiques in over 42 countries. Spektre is considered to be the perfect mix between elegance and street style and customers love us because we allow them to show the unconventional side of their personality. Our standards are well known, we only use first quality materials for the realization of our sunglasses; Made in Italy frames by injection or in Mazzucchelli acetate, matched with high end lens either by Silo Multilayered for the mirrored shades or Carl Vision Optics by Zeiss for the opaque ones. All our lens provide factor 3 protection from UV rays and are 100% polarized, making them the perfect eyewear for every occasion, weather that is sunbathing in the Caribbean, skiing on the Alps or strolling around a metropolitan city.